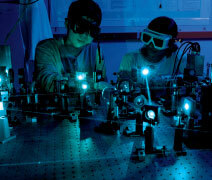 Degrees offered: Bachelor of Arts, Bachelor of Science, or a combined Bachelor of Arts and Bachelor of Science degree; many of our departments also offer an optional fifth-year master’s program. 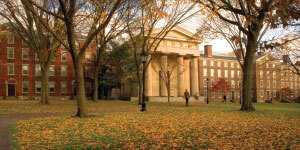 Brown is known for its academic excellence rooted in the Open Curriculum. The Open Curriculum prepares undergraduates for productive lives by cultivating creative thinking, independence, and discovery through exposure to a rigorous curriculum in the liberal arts and sciences. At Brown, you can be the architect of your own education. You can sample courses in a wide range of subjects before immersing yourself in over 80 academic concentrations—or you can invent your own. A special kind of student chooses Brown—one who is intellectually curious, self-motivated, and prepared for the academic rigor of charting their own path. Brown’s world-class faculty celebrate students as the center of academic life at Brown. Our faculty are making groundbreaking discoveries, advancing understanding of cultures and peoples around the globe, and influencing national and international policy. These same faculty who are making a major impact in the world are the teachers you learn from in small classes, the laboratory, and the field. Brown strives to create a diverse and inclusive community where students welcome and celebrate their differences—and where all members are valued, respected, and provided with equal opportunities to thrive. Creating and supporting this diverse and inclusive community is central to our University’s mission of academic excellence. To support students from a diverse array of communities, Brown is home to resources like the Brown Center for Students of Color, founded 40 years ago. The center serves as a hub for students of color and promotes conversations about diversity and inclusion on campus. It serves as a gathering place for communities of color and hosts cultural and informational events open to all students. The First-Generation and Low-Income College Student Center is a communal academic and social space for members of the Brown community who identify with the first-generation and/or low-income student experience. The center aims to contribute to the endurance and success of students whose parents did not complete a four-year college education. Brown also offers standout academic advising to help students make the most of Brown’s flexible curriculum. Brown offers personalized advice to guide students in making informed choices and pursuing their interests. Every first-year student is assigned an academic advisor as well as a peer academic advisor. Many first-year students participate in the Curricular Advising Program, where your academic advisor is also an instructor of one of your first-year courses, creating a close advising partnership. Many students of color also participate in the ALANA Mentoring Program, where first-year students meet with faculty and staff to work toward academic and personal goals. The program creates relationships that benefit students throughout their time at Brown. Brown’s culture is one of respect and inclusivity. Brown students study together, play together, grow together, and dream together—bonding for a lifetime. With our accomplished and motivated student body and distinguished faculty, Brown is a leading research university with a commitment to exceptional undergraduate instruction. 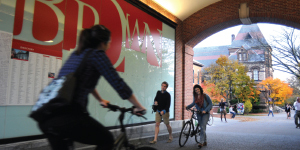 Brown’s College Hill campus offers aclassic New England college experience among brick quadrangles, scenic greens, soaring modern architecture, and fully renovated historic buildings. We also feature state-of-the-art laboratories, world-class libraries, 24-hour study spaces, expansive fitnessfacilities, and a full range of student services essential for life and learning on campus. Our home city, Providence, is located between Boston and New York City and offers rich and diverse cultural activities. Brown’s campus is just a short walk to downtown Providence. Brown actively strives to create a socioeconomically diverse applicant pool and undergraduate student body. Our financial aid policies are designed to enrich our campus community by making sure that students of talent and ambition who qualify for admission can come to Brown—regardless of their economic circumstances. We are committed to meeting 100% of demonstrated financial need for all eligible undergraduates as determined by Brown’s Office of Financial Aid. We are “need-blind” when making admission decisions, which means we do not consider an applicant’s ability or inability to pay the cost of tuition when making admission decisions. This applies to US citizens and DACA and undocumented students who attend high school in the United States.